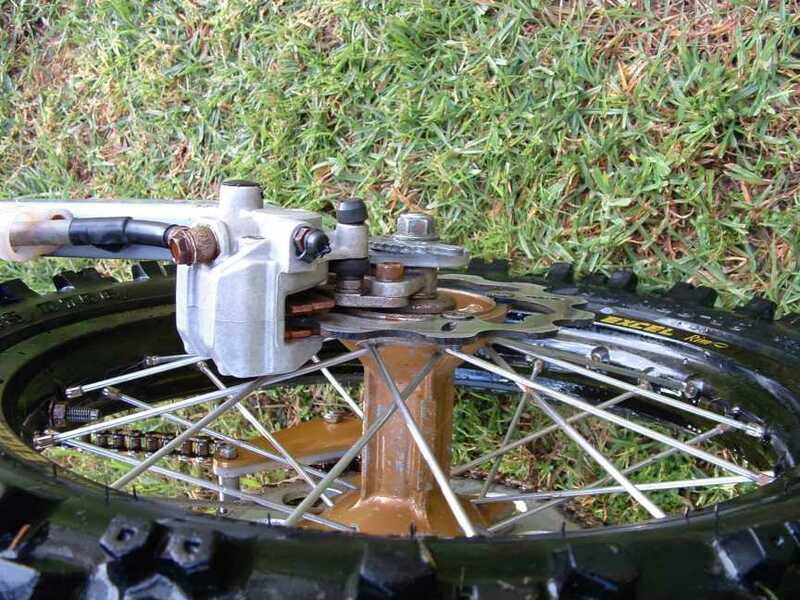 Why I did the rear disc brake. Too many broke and it was too dangerous! It meant the bike could now be jumped big, high and far. 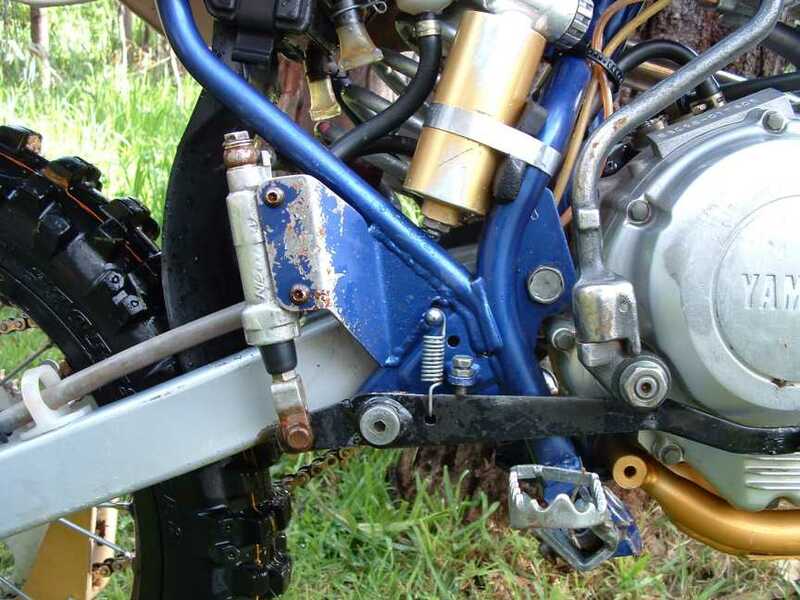 This is a rear disc brake setup in a stock swing arm. Remember this is a L version. 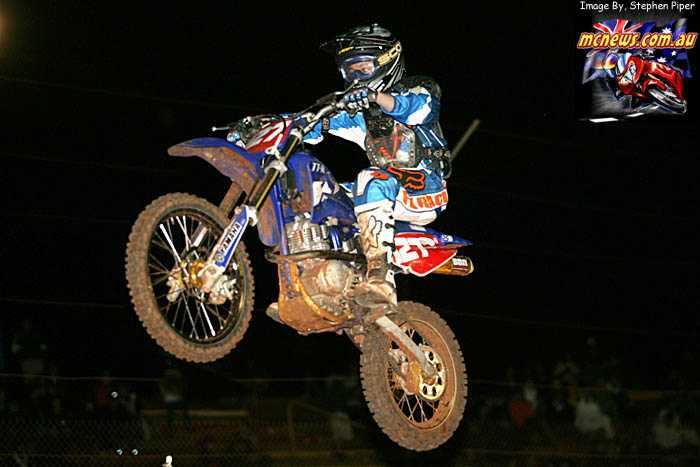 The LE has an allot swing arm. 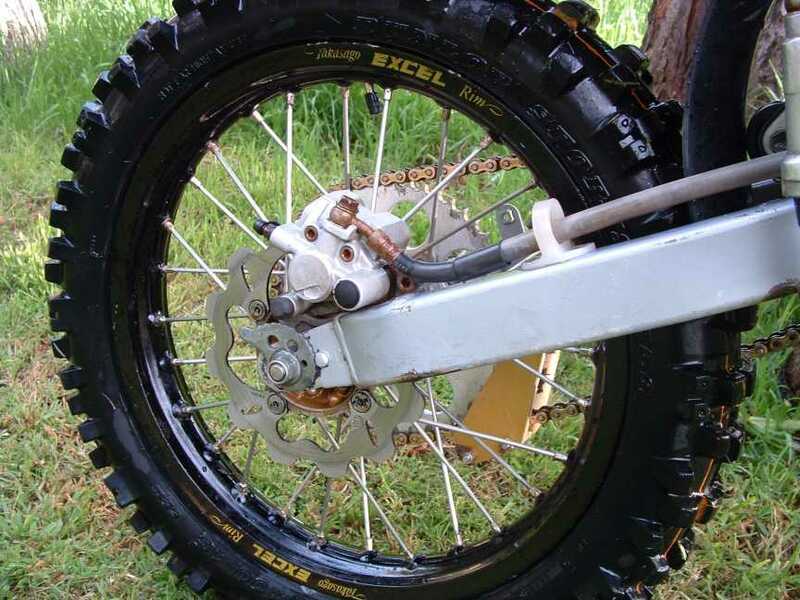 It is a Kawasaki KX100 rear set up from the 1990-98 model. I used it as the axle diameter matches and its the narrowist hub I could find. The brake hose is longer than the KX80 but using a KX80 would also be a good starting point. The chain also lines up pretty well. 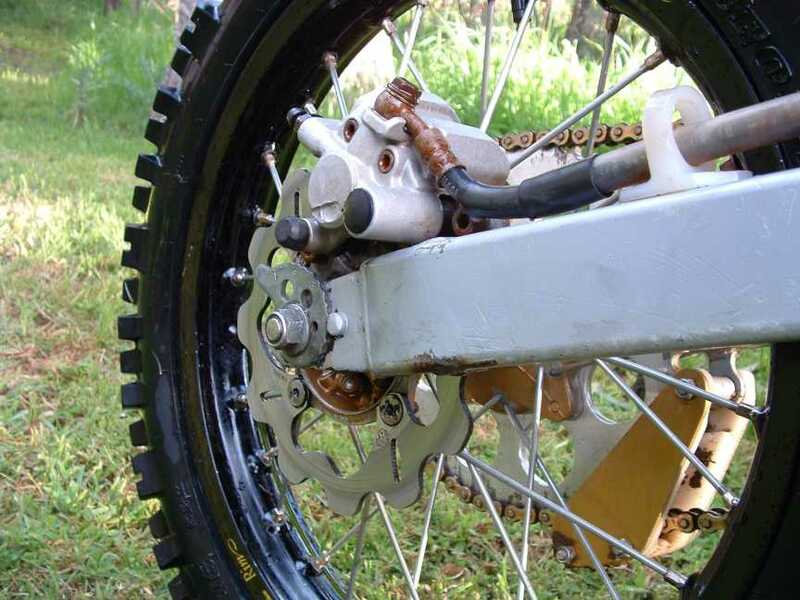 You have to use custom sprockets to suit the TTR 428 chain. 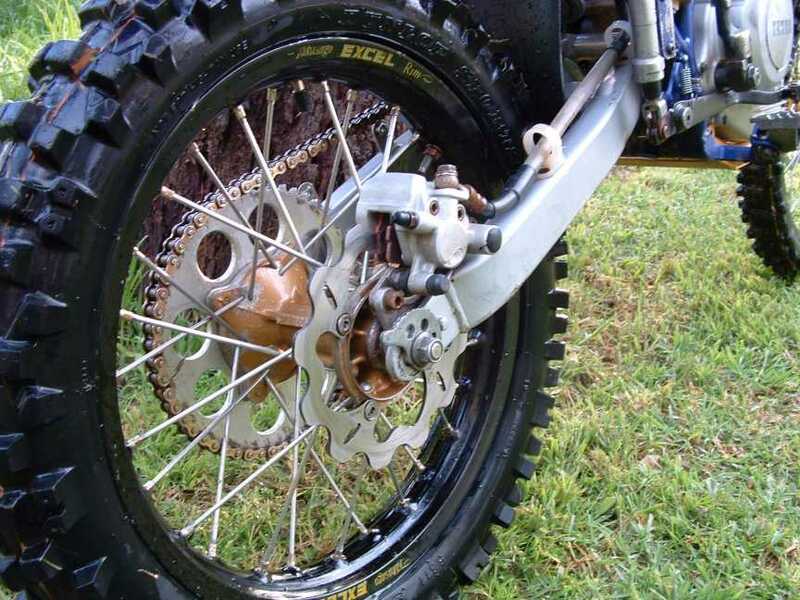 I used Sprocket Specialists to build the custom sprockets. The wheel spacers were milled down about 1.5 mm each side and then the brake caliper carrier was milled down stacks. Metal was milled off everywhere. Easy to do stuff if you have a mill or friend with one. The swing arm was widened by 20 mm by cutting and small section added. It was not cut all the way through just stretched apart. Then a small block was milled up to hold the carrier in place and screwed and welded. The axle was shortened a bit and threaded. The master cylinder is KX80/100 but you can virtually use any nissan cylinder. Others mount from the back some from the front it can make life easier. The plate for the master cyl was bent up and drilled and welded in. The pedal is the stocky cut and rewelded. All welding was by TIG by a pro. I went Excell as the KX rim was coroded badly and had new spokes made up. 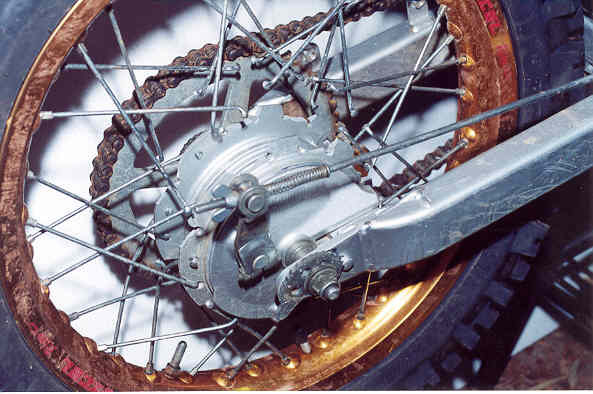 The wave disc is off a later KX80/100 with custom bolts. The later KX80/100 are a bit different and bit wider. It was fiddly but easy at the same time.